Love the expression on the leader's face. He really seems to be in the moment. I would love to have seen the performance. 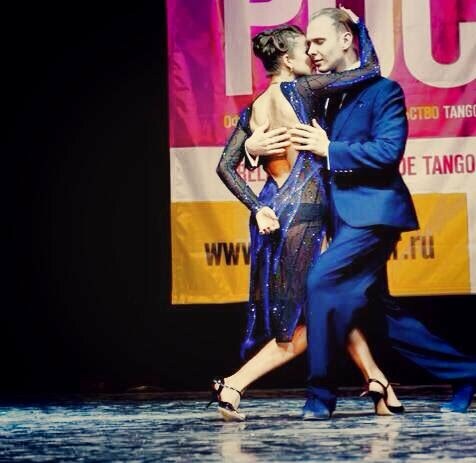 Looks like this was taken at a tango ensenario (stage) competition in Russia.